March 4: Puljujarvi underwent the surgery today according to John Shannon of Sportsnet, who adds that it was on both hips. 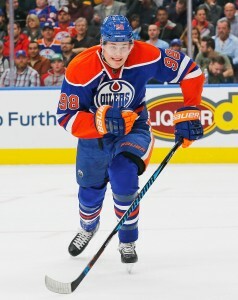 February 28: After receiving some bad news from the Edmonton Oilers medical staff, young forward Jesse Puljujarvi had visited a specialist for a second opinion. Unfortunately that opinion seems to have agreed with the first, as Jason Gregor of TSN is reporting that Puljujarvi will undergo hip surgery next week. Puljujarvi will not play again this season. The fact that Puljujarvi has been playing through this injury certainly may explain some of his struggles, but it will end what has been an extremely disappointing season nonetheless. In 46 games with the Oilers the 20-year old forward recorded just nine points, a step backwards from the already underwhelming total he posted in 2017-18. Selected fourth overall in 2016, Puljujarvi was expected to step quickly into the NHL and become a potential winger for Edmonton centers like Connor McDavid and Leon Draisaitl, but now has just 37 points through the first 139 games of his career. Importantly, this also caps his earning potential. Since the Oilers gave Puljujarvi more than nine games in his first season after being drafted, his three-year entry-level contract will come to an end this year. He’ll finish without earning any of his big performance bonuses, and now heads into restricted free agency as something of an enigma. Top draft choices are often signing expensive long-term deals after their original contract expires, but Puljujarvi will certainly not want to lock himself into an underpaid contract after his disappointing start. It’s unclear where exactly the Oilers will sit in negotiations. Unfortunately this is just the latest bad chapter in a terrible book for the Oilers. The team has struggled through coaching and management changes this season and find themselves fighting for draft lottery positions instead of the playoffs. The team was embarrassed last night in McDavid’s return to the lineup, and will take on the Ottawa Senators tonight in a battle of Canada’s worst teams. Puljujarvi is expected to be back to 100% in time for training camp in September, and given that he will be waiver eligible destined for a spot on the NHL squad almost regardless of his play. The team will have to hope his performance improves along with his health. The Edmonton Oilers’ dreadful season continues, as today head coach Ken Hitchcock and GM Keith Gretzky told reporters including Ryan Rishaug of TSN that Jesse Puljujarvi will go Tuesday to see a specialist about the lower-body injury he recently suffered. Hitchcock referred to the injury as “long term” to Rishaug, though no recovery timeline has been presented so far. Puljujarvi’s agent Markus Lehto told Mark Spector of Sportsnet that if surgery is needed it would “more than likely” mean the end of the young forward’s season. It’s been a tough start to Puljujarvi’s career, which hasn’t gone nearly as expected since the Oilers used the fourth overall selection on him in 2017. While other players from later in that draft like Matthew Tkachuk (6th overall) and Clayton Keller (7th) have found early success, Puljujarvi has struggled to find a consistent role on the Oilers even with the team’s lack of offensive winger options. In 139 NHL games the 20-year old has just 37 points, but has also suited up only 53 times in the minor leagues over the last three years. Notably, this injury means that Puljujarvi will not be able to participate in the AHL playoffs regardless of what the specialist says. Since Puljujarvi is on injured reserve and can’t be on the minor league active roster by Monday even as a paper transaction, he’ll miss the deadline for AHL playoff eligibility—unless some new information surfaces between now and then to allow the Oilers to make a move. 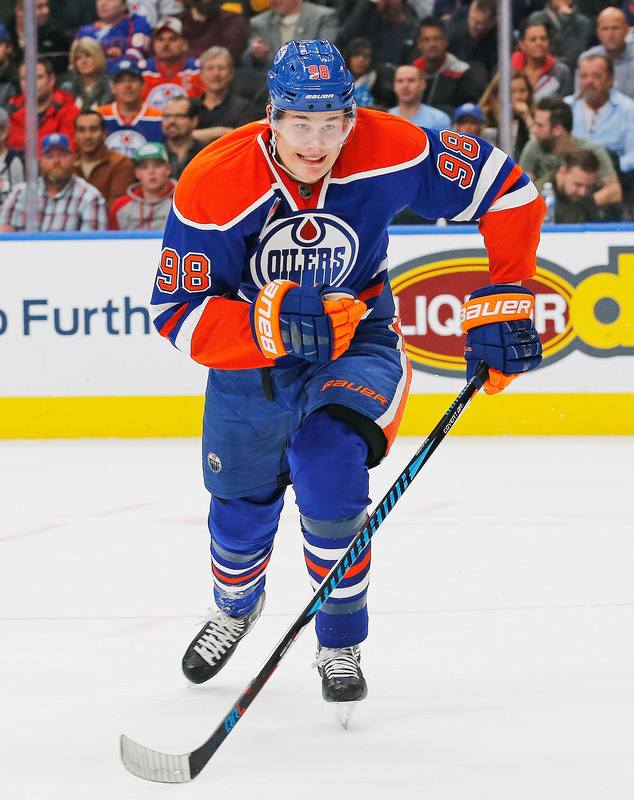 With the Bakersfield Condors in first place in the Pacific Division, many Oilers fans had hoped Puljujarvi could be part of a long Calder Cup run to continue his development. Now, they’ll just hope he can return to full health as soon as possible. The Edmonton Oilers have officially activated Andrej Sekera from long-term injured reserve after clearing enough cap space with this weekend’s Cam Talbot trade. In order to fit him on the roster though, the team has moved Jujhar Khaira and Jesse Puljujarvi to injured reserve. Josh Currie, who has been dominating of late in the AHL, has also been recalled. Edmonton has also waived Brandon Manning with the intent of burying his cap hit in the minor leagues, giving them some additional flexibility as they head into the upcoming trade deadline. Sekera’s return should strengthen the blue line, though there is no guarantee the 32-year old defenseman will be able to bring his former level of production. It’s been more than ten months since Sekera last played in an NHL game, and his similar comeback in the second half of last season was not exceptional. There was a time when he could be relied upon as one of the team’s most consistent two-way defenders, but the team will hope they can squeeze out even a fraction of that effectiveness down the stretch. This was the first time the team had even suggested that Puljujarvi is dealing with an injury, and it comes at perhaps the most inopportune time given the recent reports about his availability in trade. The young forward has still not been able to establish himself as a full-time NHL presence, and would likely benefit from some more development time in the AHL. That can’t happen for at least a few days, as even backdating the injured reserve period to his last game—Puljujarvi played 9:31 in Friday’s game against the Carolina Hurricanes—would keep him out for this week. Interestingly, Mark Spector of Sportsnet reported that Puljujarvi was a healthy scratch for Saturday’s game against the New York Islanders, apparently not knowing about any injury either. Spector has been told now, as he tweets that the young forward has a lower-body injury that shouldn’t keep him out too long. While it will be overshadowed by the other news, this is a huge step for Currie who has not yet played an NHL game. The 26-year old forward went undrafted out of the QMJHL but battled his way through minor league contracts and eventually landed an NHL deal with Edmonton last summer. Playing on three ECHL teams across three seasons, he eventually found success in the AHL and is now the Bakersfield Condor’s leading goal scorer with 24 in 49 games this year including 15 in his last 17 contests. There has been unconfirmed speculation for much of this season that the Edmonton Oilers were open to moving disappointing prospect Jesse Puljujarvi, but now it seems that the team is actually contemplating a trade. TSN’s Ryan Rishaug reports that the Oilers have spoken with Puljujarvi’s agent, Markus Lehto, about the possibility of a move. Rishaug writes that the team is open to trading the top prospect if the right return presents itself. Puljujarvi, 20, was the fourth overall pick in 2016 but has yet to justify his draft slot. A 6’4″ power forward, Pulujarvi scored with ease in his native Finland and on the international stage. He even did well for himself in the AHL for much of the 2016-17 season. However, the NHL level has been a different story. In 138 games thus far, Puljujarvi has only 37 points. This season, through 45 games, he has four goals, nine points, and a team-worst -14 rating. It has gotten so bad for the young forward, that Rishaug states he is likely to be sent down to the AHL if a trade does not occur. For his part, Rishaug believes this to be the most likely outcome. Although the Oilers are officially considering moving on from Puljujarvi, Rishaug feels it would take a major return. He states that Edmonton still believes in Puljujarvi and would rather keep working with him, in the NHL or AHL, than give him away at a discount. With draft guru Keith Gretzky currently in charge as interim GM, this is a plausible outcome. However, the question now is whether another team likes Puljujarvi’s potential more than the Oilers. Edmonton may not be eager to move the recent top pick, but that doesn’t mean that they won’t. With the Coyotes within striking distance of a playoff spot, they may not be as inclined to become sellers as some may think. Even if they do try to add, Richard Morin of the Arizona Republic believes that winger Richard Panik is likely to be dealt anyway as it’s unlikely that Arizona will look to bring him back this summer. The 27-year-old is having a decent season with 18 points (10-8-18) in 44 games while averaging 16:43 per night, a career high. Consistency has been an issue but Panik is someone that could slide into a middle-six role for some teams in need of extra scoring depth on the wing. He carries a $2.8MM cap hit this season and will become an unrestricted free agent in July. The Oilers plan to scale back winger Jesse Puljujarvi’s minutes for the time being, notes Postmedia’s Robert Tychkowski. Head coach Ken Hitchcock indicated that the 20-year-old has struggled to adjust to the increased intensity of the games in recent weeks but at the same time, simply sending him back to the AHL won’t help him with that. Instead, they’ll deploy him on Edmonton’s fourth line for now. Puljujarvi has been part of trade speculation all season long and him dropping down the depth chart likely will keep him at the forefront in that regard. The Golden Knights could have defenseman Colin Miller back tonight after missing the last 13 games due to an upper-body injury, reports David Schoen of the Las Vegas Review-Journal. With more than half of his points this year coming with the man advantage, he’d be a welcome boost for the Vegas power play. A roster spot would need to be freed up to activate him off injured reserve but goalie Malcolm Subban could simply be transferred to IR in the short-term to open up that spot. Kings defenseman Oscar Fantenberg missed last game with a lower-body injury but head coach Willie Desjardins told Curtis Zupke of the Los Angeles Times that the blueliner is close to returning. The 27-year-old has held down a regular spot on their third pairing for most of the season while logging nearly 15 minutes a night. The Carolina Hurricanes struck arguably the biggest trade of the regular season so far when they acquired Nino Niederreiter from the Minnesota Wild in exchange for Victor Rask earlier today. However, GM Don Waddell is likely far from done. Not long after the deal was announced this afternoon, TSN’s Pierre LeBrun stated that the Hurricanes are still looking to add to their roster. LeBrun speculates that the team will add another top-six forward and will try to tap into their surplus of defensemen and defensive prospects to do so. The Hurricanes have the NHL’s longest playoff drought at nine seasons and would very much like to get back to the postseason this year and are well within striking distance of that goal past the midpoint of the season. While the team has succeeded in many areas this season, they continue to have struggles with scoring and, as LeBrun points out, could desperately use another talented forward. Yet, at the same time, the Hurricanes are also reportedly open to moving one of their most successful scoring forwards this season, Micheal Ferland. Ferland is on pace for a career season in his first year in Carolina, but the two sides had been unable to come to terms on an extension. Following the addition of a very similar player in Niederreiter, Ferland’s time in Carolina could soon be coming to an end. Between listening to offers on one highly-sought after rental forward and actively in pursuit of another top name on the market, the Hurricanes promise to remain in the rumor mill through the trade deadline next month and should have some more fireworks in store. Another team desperate to make the playoffs this season are the Edmonton Oilers. While the Oilers are reportedly willing to move a number of assets for long-term forward help, the hype surrounding a possible Jesse Puljujarvi trade appears to be cooling off and GM Peter Chiarelli may opt for adding an affordable rental rather than making another high-risk trade. In his latest “31 Thoughts” column, Sportsnet’s Elliotte Friedman names the Oilers as a suitor for the New York Rangers’ Mats Zuccarello. The veteran winger has been hot lately and could certainly help with Edmonton’s scoring woes down the stretch. As Friedman points out, and the Oilers surely know as well, Zuccarello also should not be too expensive to acquire. The Rangers received a second-round pick and middling prospect from the New Jersey Devils at the trade deadline last season for Michael Grabner, who was in the midst of a season not dissimilar from Zuccarello’s this year and was also an impending free agent. Chiarelli and company would likely be happy to give up a package such as that to add much-needed help up front. William Nylander is finally under contract and playing for the Toronto Maple Leafs, but it’s been a slow start for the young forward in his return to action and an equally disappointing result for his team since his return. Making too much of that could be a mistake, but facing an impending salary cap crunch and mounting Stanley Cup expectations, GM Kyle Dubas and the Leafs brass have little room for error. Count former Toronto GM Brian Burke among those who would jettison Nylander as soon as possible if they were in Dubas’ shoes. Burke said on Sportsnet today that the front-loaded nature of Nylander’s contract should allow the team to move him and he expects that trade to occur this off-season. Burke acknowledges that Nylander is a talented player, but doesn’t agree with his nearly $7MM yearly cap hit and feels he is too similar to other players on the Leafs’ roster and considers him to be a costly “surplus player”. Whether Dubas and company agree with that assessment remains to be seen, but a Nylander trade this summer is certainly not out of the question. Poll: Will The Edmonton Oilers Trade Jesse Puljujarvi? Like Wayne Simmonds and Sergei Bobrovsky over the last few weeks, Jesse Puljujarvi has become the hockey world’s favorite trade chip recently as the Edmonton Oilers search for help up front. According to several reports, the Oilers are all-in for the playoffs this season and are not willing to waste another year of Connor McDavid’s prime out of the postseason race. Puljujarvi, likely because of Ryan Rishaug of TSN’s report that the Oilers are willing to part with a “young developing forward,” has become the piece most bandied about in trade speculation. But would the Oilers actually trade a fourth-overall pick less than three years after selecting him? It’s important to remember that Puljujarvi, the big talented Finnish winger, was expected to go third overall behind Auston Matthews and Patrik Laine at the 2016 draft. He had just finished a professional season for Karpat in the Finnish Liiga where he recorded an impressive 37 points in 60 games as a teenager and had won both U18 and U20 World Junior Championship gold medals. In fact, Puljujarvi was named the U20 tournament MVP after leading it in scoring with an incredible 17 points in seven games. It was hard to imagine anyone passing on him at #3, but the Columbus Blue Jackets did just that. Blue Jackets GM Jarmo Kekalainen was roasted on draft night for selecting Pierre-Luc Dubois instead, opting to go after who he believed was the next best center in the draft. Dubois has since become a first-line staple for the Blue Jackets and has 40 points in 45 games this season. The 20-year old center could very well crack 30 goals and is a key reason why the Blue Jackets are heading to the playoffs this year. Puljujarvi meanwhile has stagnated in Edmonton, bouncing back and forth between the NHL and AHL and recording just 35 points through his first 128 NHL contests. Even in the AHL the big winger isn’t at a point-per-game pace expected of many top prospects. In today’s NHL that is becoming more and more populated by fresh faces right out of junior ranks around the world, it’s easy to forget that not every player reaches his potential before the age of 21. Puljujarvi won’t hit that age threshold until this May, and still has plenty of time to develop into the dominant, puck-possessing beast he had shown on the international stage. Whether the Oilers are willing to wait is the bigger question. With GM Peter Chiarelli desperately trying to fix things in order to get McDavid and Edmonton to the playoffs—likely in order to save his own job as much as anything—the idea of trading Puljujarvi no longer strikes as unbelievable. Still, Elliotte Friedman of Sportsnet said on radio recently that the Oilers first-round pick might actually be the better trade chip at this point, given it could potentially be a lottery pick in the 2019 draft. It would be tough for the Oilers to accept that Puljujarvi brings back less than a draft pick regardless of how high, which may lead to them holding onto their young prospect and hoping his play rebounds. Where do you think Chiarelli will land as the deadline approaches? Will Puljujarvi be dealt for an immediate upgrade? Or do the Oilers have enough other assets to improve the club for a 2019 playoff run?